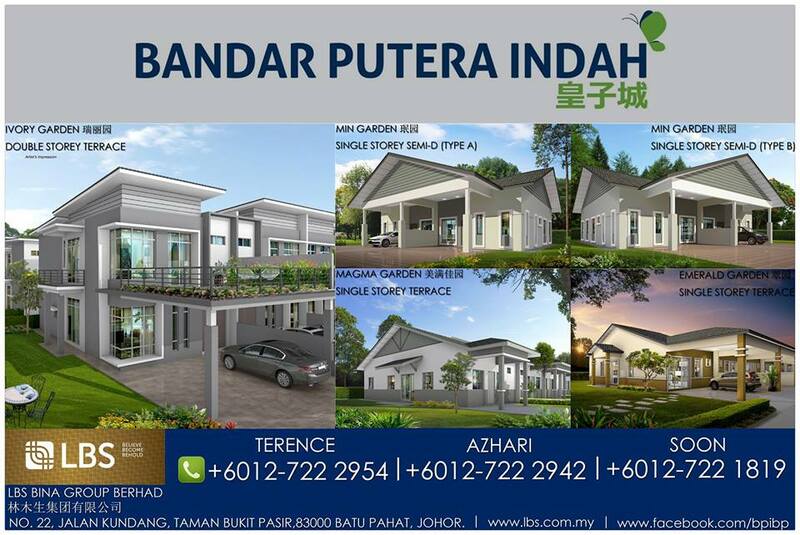 Bandar Putera Indah is a 1,288 acres residential and commercial township that emphasize on quality living set amidst natural surroundings with architecturally attractive house designs and beautifully landscaped terrain in Tongkang Pecah, Batu Pahat, Johor, Malaysia. 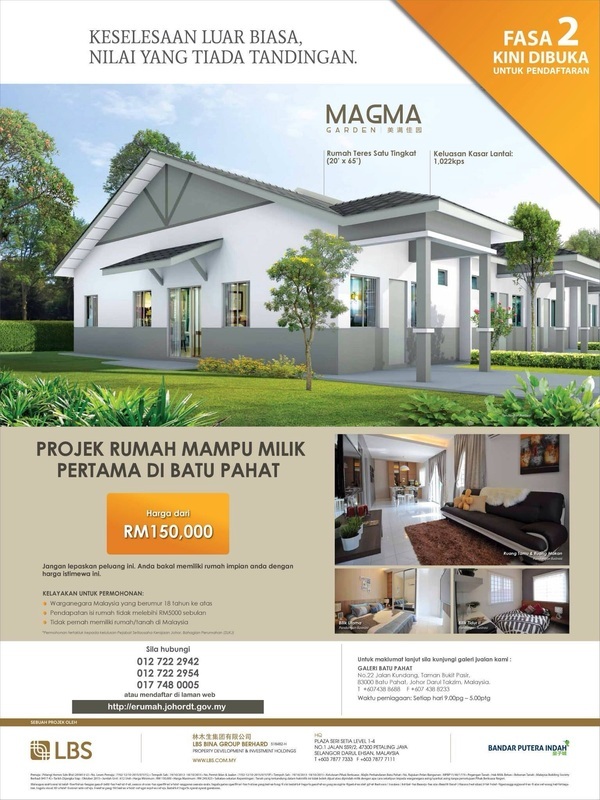 Bandar Putera Indah is the first fully integrated township in Batu Pahat and it is strategically located just 7km away from Batu Pahat town centre and 15km from Yong Peng town. This mixed development project comprising more than 11,000 units residential and commercials units, comes with comprehensive amenities which include mini-markets, shops and an auto service centre, which provide convenience for residents. Additional facilities surrounding the development include schools, petrol station, eateries, clinic and post office. Development of the township began in the year 1997 by Jasa Vista Sdn Bhd (JASB). Unfortunately, Jasa Vista Sdn Bhd faced financial difficulty and was unable to complete the project in year 2005. JASB has been blacklisted by Ministry of Housing and Local Government (MHLG) as of 31 May 2011 due to involved in abandoned housing project. At 5 April 2012, JASB has been wound up by court and Rimbun Corporate Advisory Sdn. Bhd. has been appointed as the project liquidator to rehabilitation of abandoned projects by JASB. The remains vacant land had been sold to LBS Bina Group Berhad for further development after JASB in liquidation. Since the initial launching in October 2002, LBS has completed and delivered a total of 778 units of residential developments comprising single storey terrace, semi-detached and double storey terrace house. LBS plans to develop the remaining 524 acres of land in Bandar Putera Indah into a mixture of commercial and residential developments. Upcoming facilities such as a recreational centre, surau and town hall are also in the pipeline to sustain the growing population of this developing township. To date, LBS already launched Min Garden (218 units of Single Storey Semi-D) in year 2011, Emerald Garden (166 units of Single Storey Terrace House) and Magma Garden Phase 1 (612 units of Affordable Home/RMMJ). Ivory Garden Phase 1 (207 units of 2 Storey Terrace House) and 58 units of low-cost shop (KKSR) in year 2014 and the latest project Royal Garden (2 Storey Semi Detached house). In year 2015, LBS will also launch the new Ivory Garden phase 2, and 2 & 3 Storey Commercial Shop Office. With a practical layout, LBS @ Bandar Putera Indah harmoniously integrates business and family life so that you can realize the best of every moment. 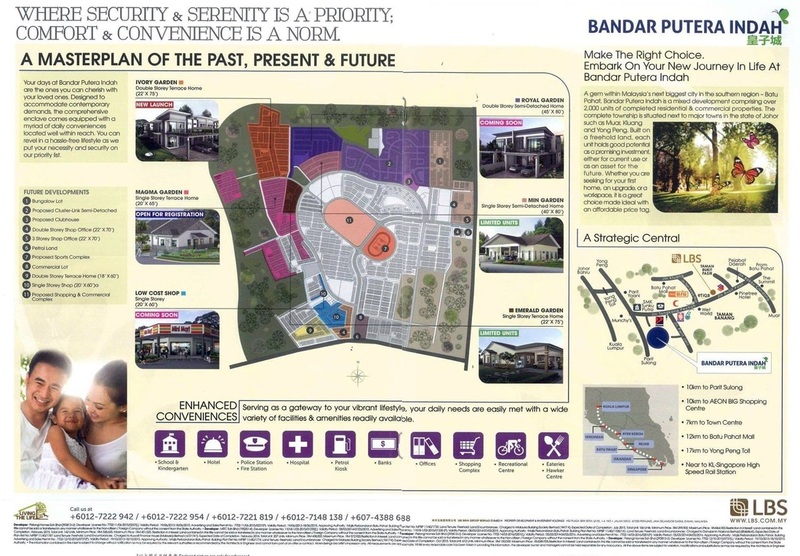 Another developer of Taman Putera Indah is BCB Berhad which will build 4,700 houses on 370 acres land.